Who doesn’t love a big ‘ole pot of beans? 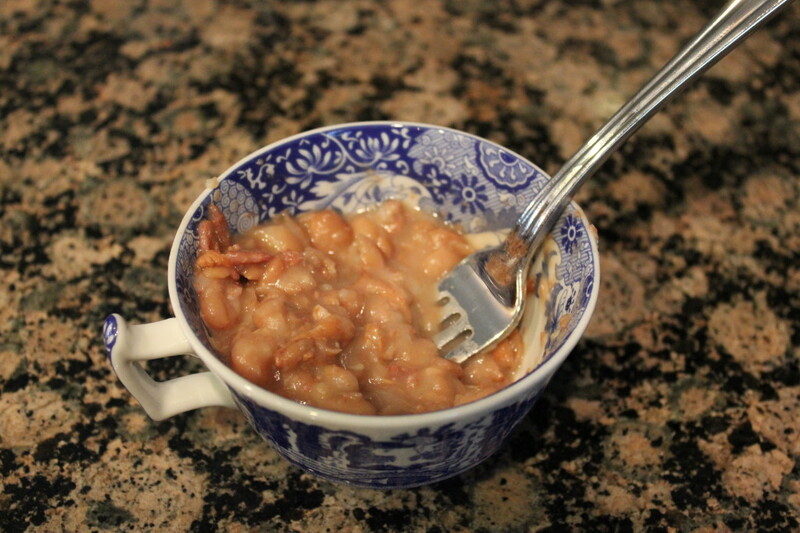 Before I met Matt, I’d say I could care less about homemade beans… I was perfectly happy with the canned ones. However, after making these, I’ll definitely cook them again. 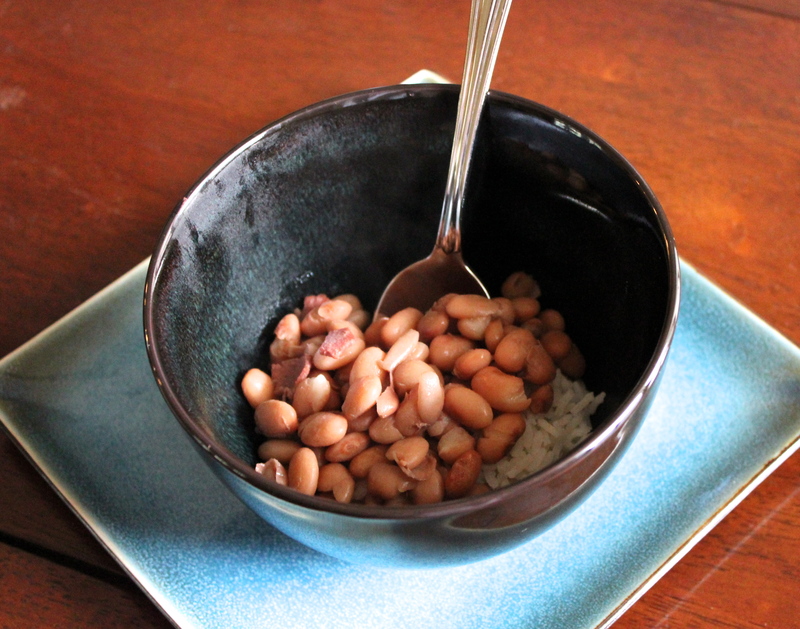 Even though I’m from the south, we didn’t grow up eating beans. Don’t get me wrong, I like beans, but I never liked them enough to make them from scratch; we would just heat up a can of them on the stove. Dad doesn’t like beans. At Mexican restaurants he orders double rice instead of pinto beans. Matt and his parents Tony and Paula have exposed me to some good ‘ole southern comfort food that apparently I’ve been missing out on. So when I found Ree Drummond’s recipe for pinto beans using a dutch oven and the stove, I thought I’d give them another shot! 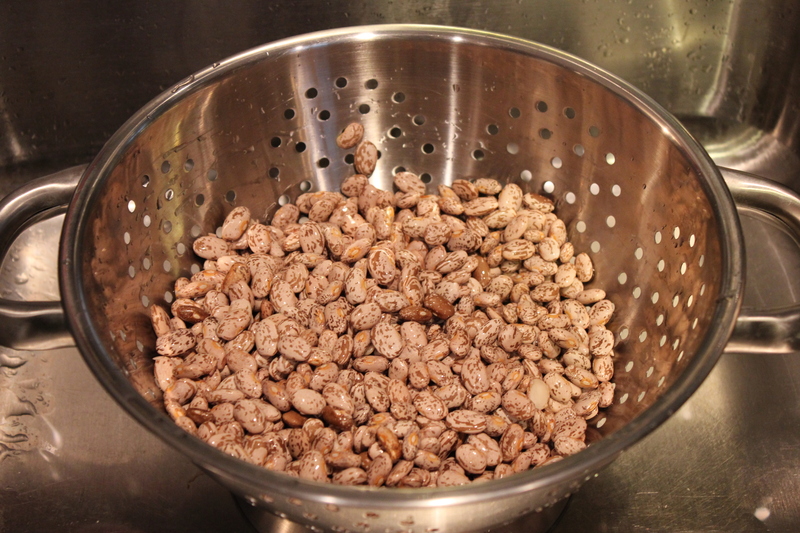 Fortunately the beans turned out wonderfully. Matt loved them, I loved them, and I also loved how the beans were ready in 2 hours as opposed to 8-10 hours in a crock pot plus soaking them overnight. 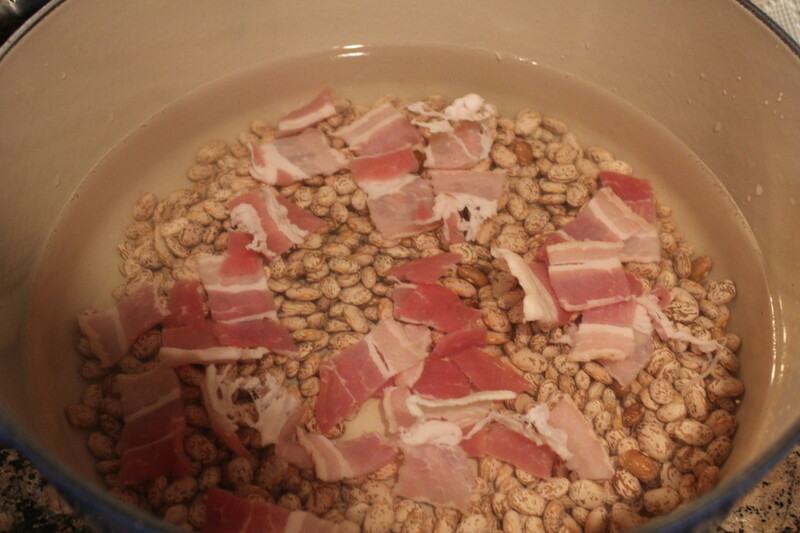 Rinse beans and drain in a colander. Pour into large pot or dutch oven. Cover with 2 inches of water. Bring to a boil and then simmer and cover for 2 hours. 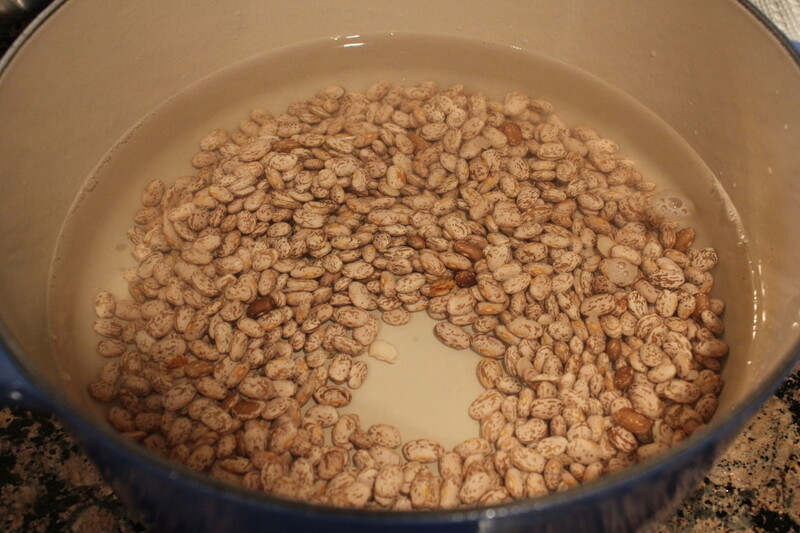 To help thicken beans, remove a small cup’s worth of beans. Mash them with a fork and return to the pot and continue to simmer. 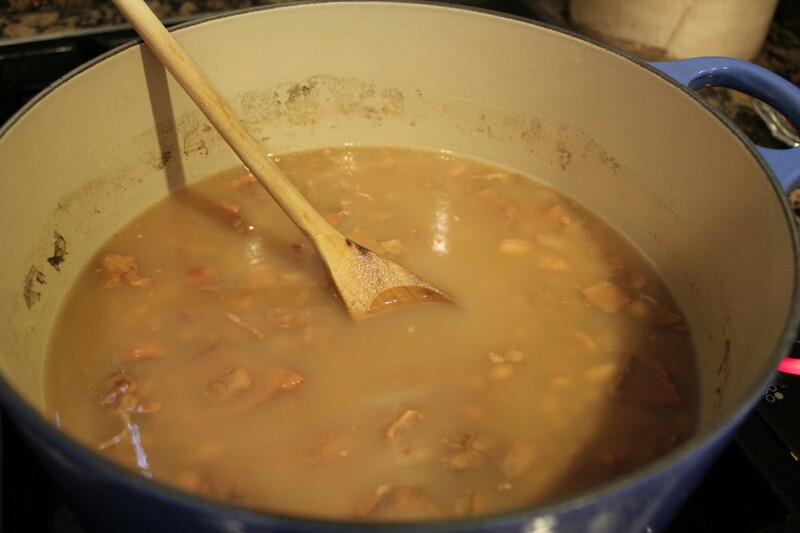 Once beans are tender and broth has thickened, add salt and pepper. 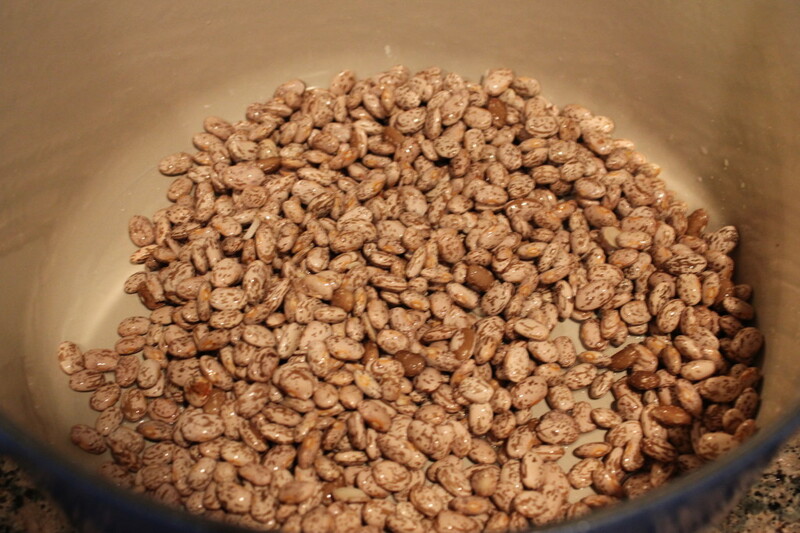 Rinse beans in cool water; pour into a pot, cover with water by 2 inches. 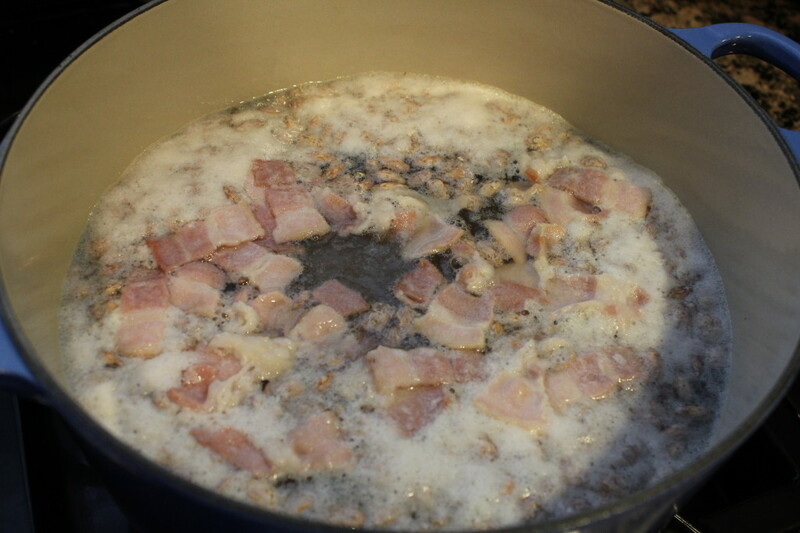 Bring to a boil, then reduce heat and cover. Toward end of cooking time, add salt and pepper and season to taste. Serve over white rice or cornbread. Garnish with grated cheddar cheese, chopped onions, fresh jalapenos, sour cream, and/or cilantro, if desired. 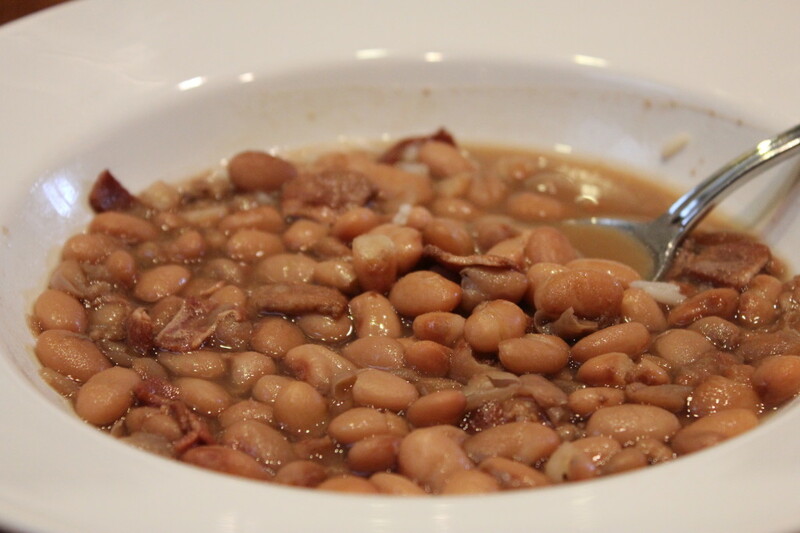 One Response to "Pinto Beans"
Ok, those look really good, but they are missing some good ole juice. You need the juice to soak into the homemade cornbread that always goes with pinto beans. Your article was funny……and you are correct. It is hard for me to tell you exactly how I make things because as a country cook, I go by more of what I feel like doing at the time, or what looks the best at the time. Did you make cornbread or only rice?? ?